Four years ago, Whitfield’s Board of Trustees, faculty, parents and alumni came together to create a road map for a stronger, healthier and more effective school, our Strategic Plan. This plan resulted in a set of priorities that led us to this capital campaign. 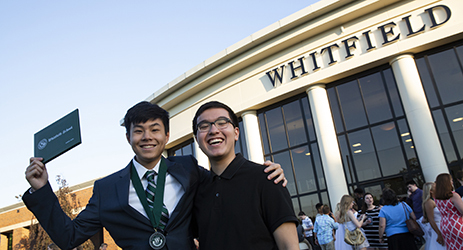 Achieving the Vision: The Campaign for Whitfield is an historic endeavor that honors every Whitfield student, parent, teacher and donor who has come before, and opens the door to the future our school deserves. This effort will fuel the growth of our academic program and guarantee the success of a generation of Whitfield graduates. During Phase I of the Campaign, we surpassed our goal of $5 million. In year two we exceeded our Phase II goal of $8 million, bringing our Campaign total to 9.7 million raised to date. Annual Fund remains a top priority. In addition to supporting the campaign, many donors made multi-year commitments to the Annual Fund. What is the size of Whitfield’s endowment? Thanks to a generous school community and the wise leadership of our trustees, our endowment has grown to $10 million. Our endowment earns about 7% annually, and we draw an average of 5% for operational needs. Currently, Whitfield’s enrollment is strong at 440 students. How does this Campaign affect my annual giving? 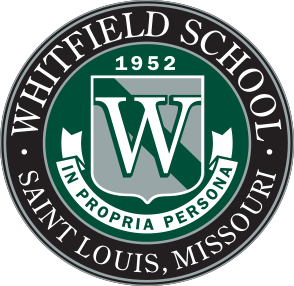 Through this campaign, Whitfield is asking our community to make a significant investment in the future of the school by growing the endowment and eliminating the debt. However, we continue to depend on funds raised for operations through the Annual Fund. Donors are asked to maintain their support of the Annual Fund and make an additional gift to the Campaign. Naming opportunities are available for gifts of $25,000 and above. Named endowed funds may be established for gifts of $100,000 and above. In order to maximize your gift, pledge payments may be made over a period of three years. We appreciate gifts of any amount. What is the campaign timeline? The final phase of the Campaign will conclude in June 2018.